As January 2012 draws to a close, I recently concluded a highly non-scientific study of various product websites and a random sampling of “business” sites via StumbleUpon. My mission? To see not only how often these sites are regularly updating their content, but also how many of them are paying attention to the details. My point? When consumers want to know more about a product, service, i.e. your business, chances are they’ll ask a friend or family member first, but also jump on the Internet and happily Google away. Based on these findings, I couldn’t help thinking that my small focus group wasn’t alone with these thoughts. If the company that produces the product you’re interested in purchasing isn’t staying on top of their web presence, are they really in it to win it? In December of 2010, SiteKreator published a survey that included over 100,000 small business website owners, discovering that more than half (54%) update their website less than once a month (on average once every 2 months). Digging deeper, the same survey found that those who regularly update their website, 5 times or more a month, garner 300% more traffic than those who update every two months. Businesses that throw some social media into the mix stand to gain 400% more traffic than those that did not engage. Sure, these figures are a year old now, and social media has grown leaps and bounds over the course of 2011, but my non-scientific research shows that there are still a number of small businesses out there that consider their website “finished” when live and provide little to no content updates. As the SiteKreator survey illustrates, those that regularly update receive more traffic. And how? Google of course. It’s a widely known secret that search engines love fresh material. If you’re pushing out fresh content, you’re effectively providing Google’s (and others) crawlers with fresh meat, as it were. If this isn’t enough to catch your eye, remember that announcement Google made back in November about adding a freshness factor to its ranking algorithm, effectively pushing older content down in the listings? Remember, Google presents searchers with the results of the combination of their keyword searches with a variety of magical factors (the algorithm), one of which we know is freshness. 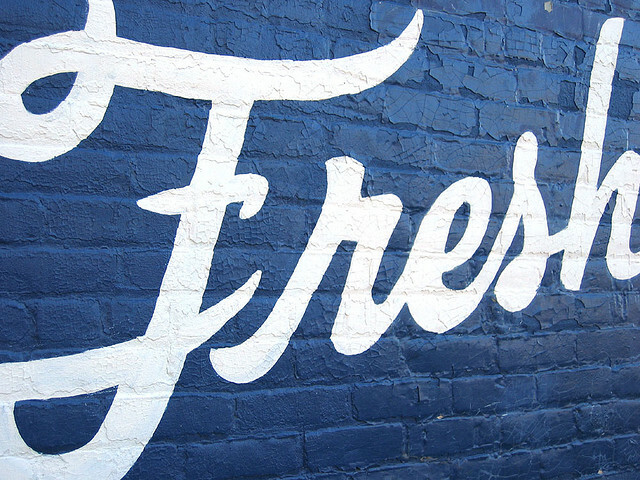 If your content isn’t fresh, Google, and thus a steady stream of visitors, could care less. Putting Google and other major search engines aside for a moment, let’s focus on the image of old content. Who wants last year’s model? Even if you haven’t revamped and redesigned your products or services, perhaps the start of a new year is the time to run a targeted promotion at your best customers. And how will you let them know about this promotion? Well, updating your website would be a very wise start. On the other side of the coin, if your company is in the business selling, and most are, you’re trying to capture the hearts and minds of your would be consumers by pushing the “industry leader” image. If your website is dead as a doornail, how are your really leading anything? Now that’s not to say that you should undergo a major website revamp every 6 months. Regardless of the time, money, and effort such an undertaking requires, you’re likely to only confuse consumers. If you’ve got a standard website set up outlining your product or services and are wondering what more you could be communicating to your consumers, one of the most dead simple solutions is to add a blog. In addition to opening a new channel for your consumers to interact with you, you’ve also now created a platform for you to prove that “We’re industry leaders” statement. Remember that Google loves fresh point above? Nothin’ says Google lovin’ more than a regularly updated blog. To put it in simple terms, think of your blog as a homing beacon for Google’s crawlers. If your current static website is old news to the crawlers, a regularly updated blog is a bright shining, “Hey guys, come check this new stuff out!” light, thus aiding you in shooting up the SERP. With that said, also keep the Panda in mind. Google shook things up early last year with the introduction of its Panda algorithm which effectively cracked down on thin content and content farms. The message here – keep your content relevant. Prior to Panda, you might be able to garner some traffic from some hot topic content, but if you’re selling widgets and writing about frankfurters, it’s a no-go in Google’s eyes. If you’re looking for a quick rundown of the top 5 features your business blog must have, go ahead and click. If your looking for 5 Golden rules of Content Marketing, look no further. As a side note, and final thought, do yourself a favor and scroll down to the very bottom of your website. Did your system automatically update to read © 2012, or are you still stuck on 2011?